Get the cheatsheet with all the info you need to get on the first page of Google. What’s so wrong with focusing your SEO activities on your site’s front page? It’s a bit like walking the tightrope. There’s a lot of risk. Even if you master it, it’s very easy to fall off, with potentially catastrophic results. The traffic can be hard to convert, and so not always what you actually want. For example, the main page for many businesses is often purely sales-focused. Except for all but a handful of niches, very few visitors convert to a sale the first time they land on a website. You’re limiting the pool of visitors you can potentially attract from search, but who are still in the market for whatever it is you are selling. In truth, there are not just a handful of keywords relating to your business – there are hundreds, if not thousands. Build a more solid, sustainable presence on search for your business? (One that doesn’t keep you awake at night and leave you in a cold sweat on checking your rankings). Attract easy-to-convert traffic that you can sell to not just once, but repeatedly? Multiply the number of visitors you can attract from search via an omnipresent search visibility strategy? This is the big shift in approach. You stop continually (and often vainly) trying to get your front page onto page one of Google. 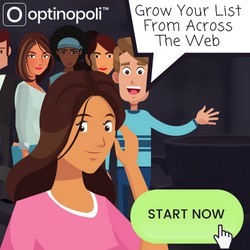 Instead you focus on having hundreds if not thousands of pages on page one for a whole range of different keyword terms related to your niche. Content on your own site (the HUB). Content on other sites across the web (the SPOKES). 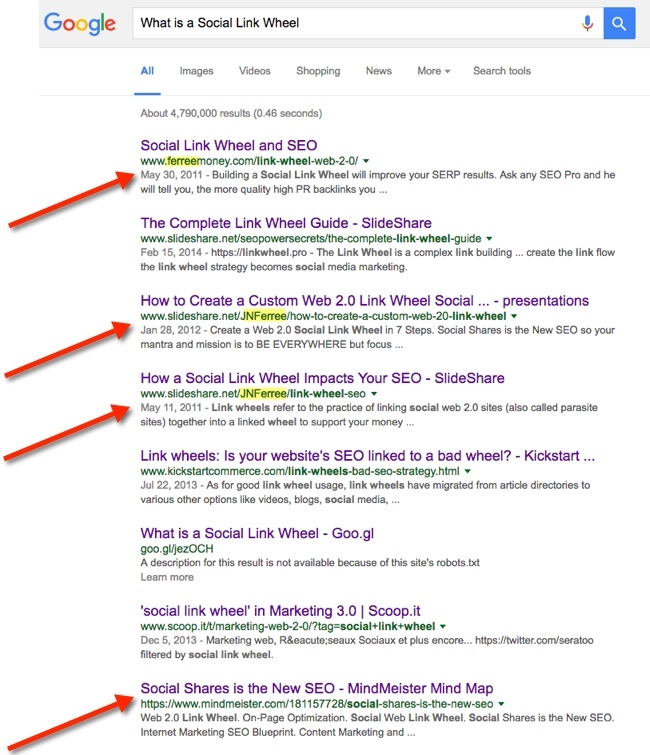 The spokes support the hub, while also appearing on their own merits in the search results (SERPs). You may even have more than one result in the SERPs for a given query. For example, a result from the hub along with one or more spokes. One is on his hub (ferreemoney.com), two on SlideShare, and one a mindmap he created on Mindmeister. It’s unlikely to be a coincidence that the result on his own site – his hub – is at #1. Sure, it’s a long-tail query. That makes ranking easier. There’s less competition, and you’re less likely to get knocked off by newcomers. Imagine the same effect extended across hundreds or even thousands of different queries. Content on your own site can use various methods to convert the traffic to leads. Link back to content on your site, from where you use the option above. Offer a lead magnet such as a content upgrade, linking back to a squeeze page on your site. Of course, not all of your content will appear on page one for whatever your main keyword might be for the content. And remember that content doesn’t just rank for one keyword, it potentially ranks for dozens of different keywords that you would have likely never thought of. After all, 15 percent of queries processed by Google have never been seen before. The fact remains that the more content you create and publish, the higher search visibility you will generally achieve. 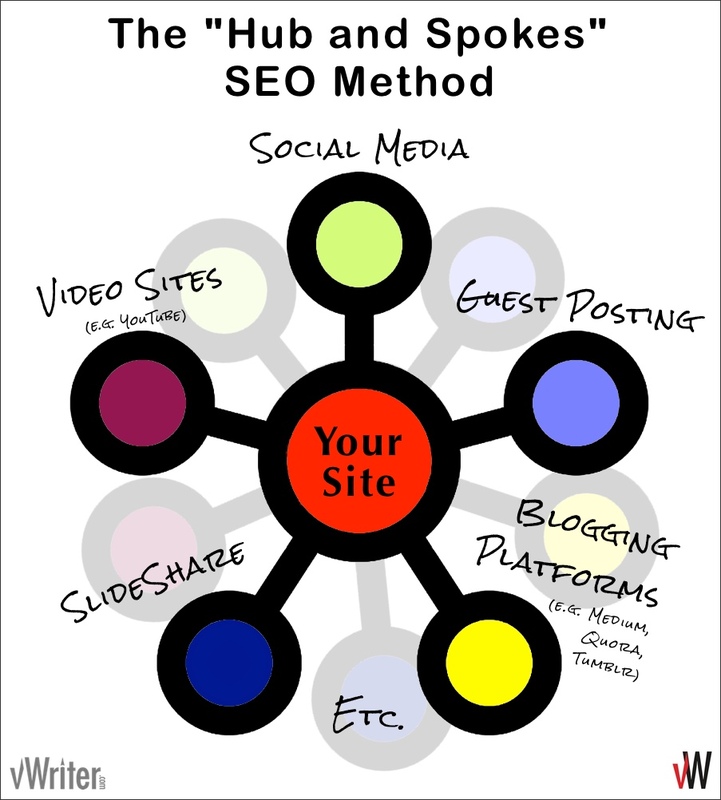 Yes, the Hub and Spokes SEO Method is simply part of “content marketing”, giving you another perspective on how to apply it to your business. The wins from content marketing are long term compared to traditional SEO short-term, quick win tactics. You’re not reliant on just one or two search rankings for organic lead acquisition and sales, but have multiple content pieces across a wide range of queries related to your niche. In other words, you have a much broader net with which to capture your market. What happens when pages on your own site take a dip in the rankings for whatever reason? (If you’ve been around SEO for any length of time at all, you’ll know peaks and troughs in search traffic are frequent occurrence). 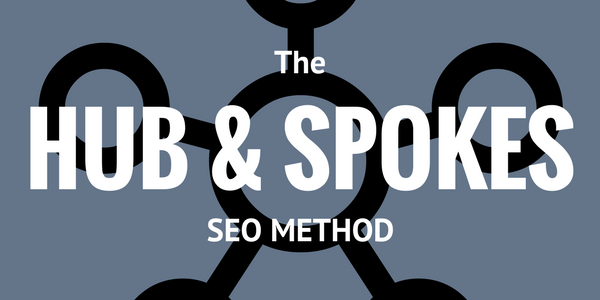 With the Hub and Spokes SEO Method, you’re still covered. Your content on multiple other sites still draws in traffic and helps with lead acquisition. All the content can be used to build your presence on social networks. Supports your search visibility as a whole. Plus of course you create a new traffic channel and reducing reliance on search. You need to be visible whether they are searching for information directly from you the product owner, or from a third party, or within their social media environment. Gone are the days when high visibility could be achieved with optimization of a static web site. Here’s a quick 4-step implementation guide to start taking advantage of Hub and Spokes SEO yourself. Create content on a regular basis for your own site, with different articles on a whole range of different topics surrounding your niche. Set a content creation pace that both works for your business and can be sustained for the long-term. For best results aim to create new content at least once a week. The content you create should focus on topics your target audience are interested in and will gain value from. 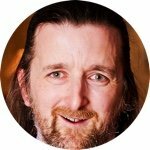 It should be as unique and insightful as possible, and deliver the best value you can for your audience. Each piece of content created is a content asset for your business, so should be invested in accordingly. Put to use properly, it will market your business for years to come. Publish the content on the hub, i.e. your website. The easiest approach, and one that works well for both search engines and visitors, is to publish via a blog. A blog is simply an easy-to-use publishing platform for the web. FirstSiteGuide has a ton of resources to help you set one up. Once you start publishing, link between the content on your blog. This gets easier the more content you’ve got (and you can see lots of examples of inter-post linking on this blog). However, be sure to link between your posts in a natural way. Don’t just link with the exact keywords you hope will get the content ranked. That’s no longer effective and, when overdone, can be interpreted as manipulative, risking your rankings. Just link in a way that’s most helpful for visitors. Google’s smart enough to use the context of the link to build a picture of what the post you’re linking to is all about. Your content asset is already published on your hub. But that’s just one way in which to make your new asset working for you. Now repurpose that content for other sites. The heavy lifting’s already been done. Repurposing just involves reformulating that content to suit whichever site you will be publishing it on. However, make sure that the original content on your blog stays unique. That avoids any risk that the authority of your blog will be diluted by the same content appearing elsewhere. So, rewrite it when repurposing for text-based sites. That’s not as onerous as it seems. Your blog content will likely be a lot longer than when the same content’s published elsewhere. So just condense it down, or outsource it as required. SlideShare (already mentioned above – see my earlier post on repurposing blog content as SlideShare presentations). Medium – find out why you should be publishing here. Tumblr – here’s a full guide. Quora – answer questions and set up a blog on the site. Mindmeister (again as mentioned above). If that’s not enough, here are 50+ ways to repurpose your content. As spokes, of course they should be connected to the hub. Content on your hub: your blog posts, and your front page (see below). Opt-in squeeze pages – for example, offering content upgrades in exchange for an email address. For SlideShare, you can add links directly within the presentation. You can do likewise with videos on YouTube, as well as adding a link in the video’s description. 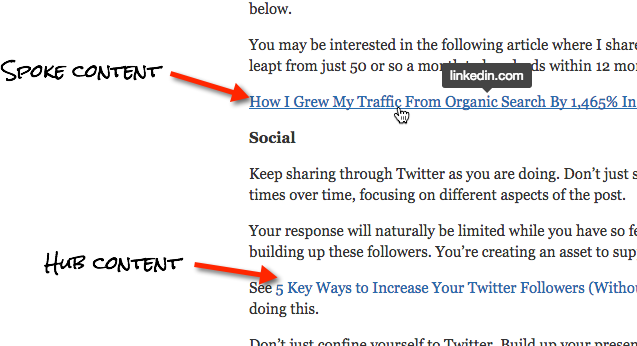 Just as you inter-link between blog posts on your hub, link between your spoke content too. So links within a Quora answer for example might link to other spoke content on say LinkedIn or Medium. This is an answer on Quora that links both to spoke content (here’s the article on LinkedIn Pulse) and to hub content. Inbound links. People often look to social media for the latest content to share in their own posts and other content. As your rankings improve thanks to your social activities, you attract more. Further shares. Higher share stats give authority, encouraging visitors to stay on your page for longer. Reducing the numbers who bounce back to the SERPs can lead directly to improved rankings. More comments. This again gives authority, and encourages further shares with similar benefits as above. More followers. The more followers you have, the more pronounced the effects of (1), (2) and (3). So all the content you create should be shared across your social networks. Don’t just share each content item once, only a few followers will see it. Share it multiple times by focusing on a different aspect of the content each time, and scheduling out the posts over time using a tool such as vWriter‘s content marketing platform. I mentioned above how the Hub and Spoke SEO Method makes it easier for your front page to get onto the first page of Google’s results. The fact is that all the content, both on your site and elsewhere, provides many more opportunities to link back to your site’s front page with a range of related keywords. Plus, the content on your site, all focused on the same niche, adds weight to the fact that your site is about the main keywords you’re trying to rank for. A growing body of content on your site. Content linking to you from sites across the web. Put the Hub and Spokes SEO Method into action for your site (get the cheatsheet), and you’re almost guaranteed to enjoy multiple page one listings on Google across a wide range of keyword terms for your niche. It won’t happen overnight, but by creating content regularly and consistently, you’ll enjoy rising search traffic levels over time, as well as increase traffic from other sources. I want to know how can I attract links by this method.